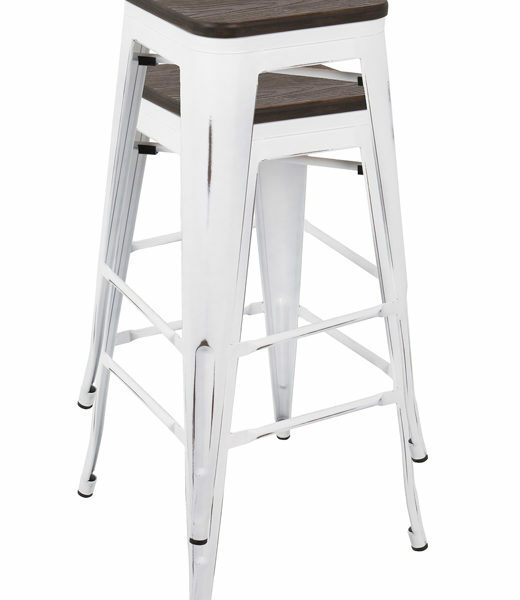 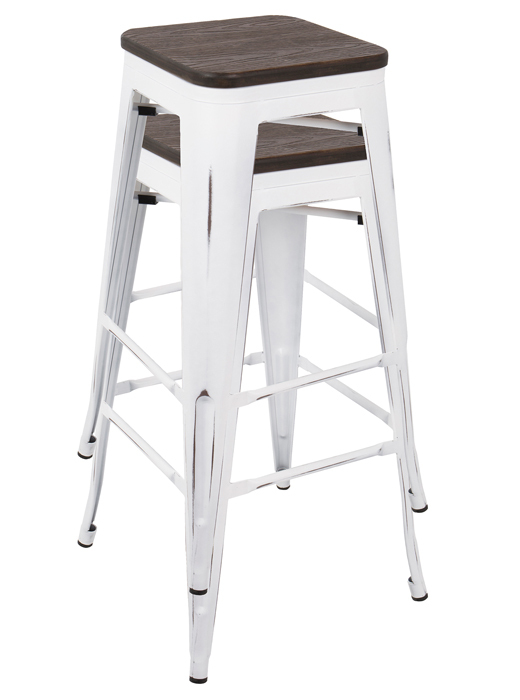 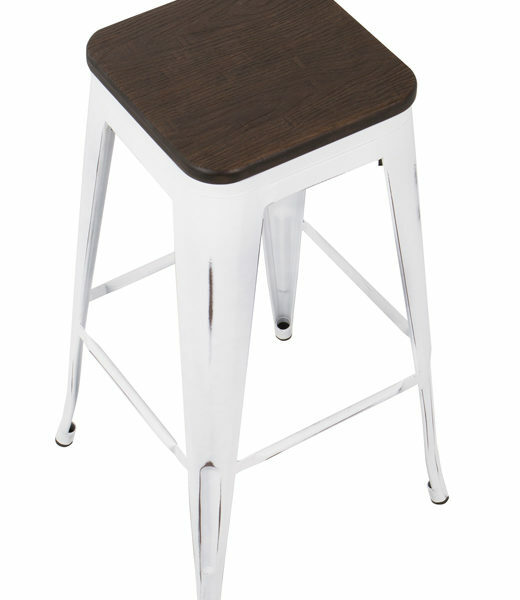 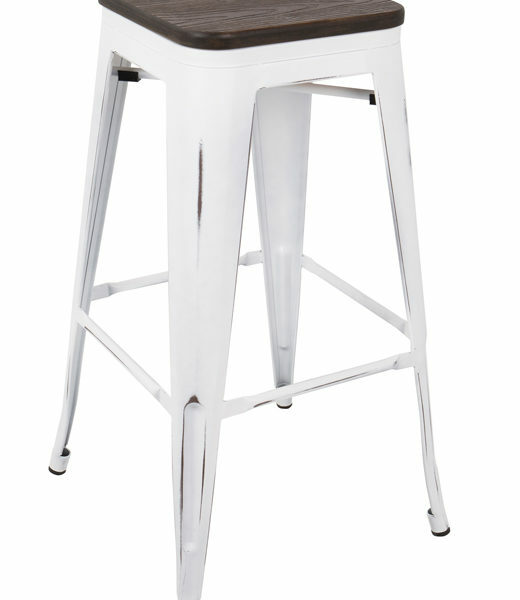 Quantity 2 Oregon Bar Stools in Espresso and White metal. 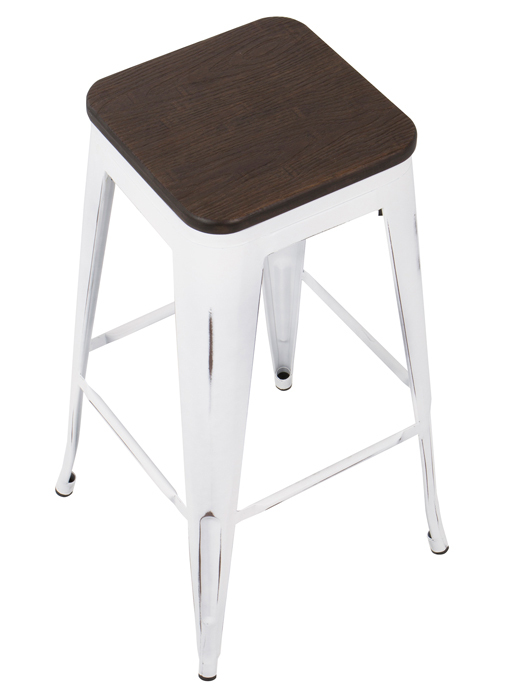 Light weight with wood seats. 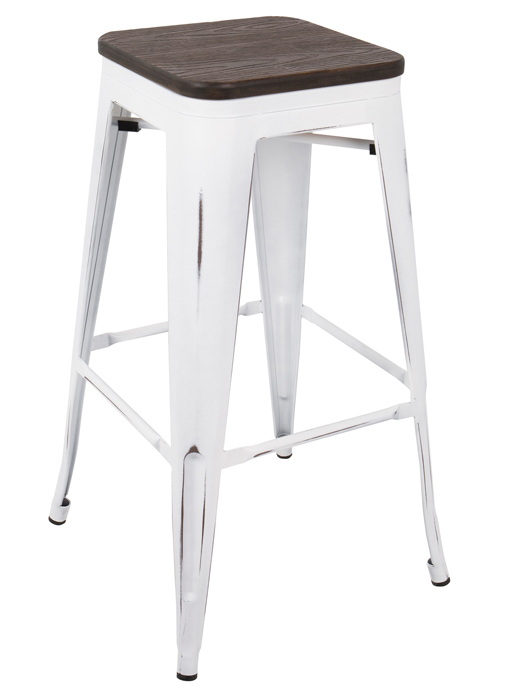 Industrial feel with no assembly required.